On Thursday, China, the world’s largest ivory-consuming nation, imposed a one-year ban on ivory imports, according to a public notice posted on the official site of the State Forestry Administration. The Administration announced it would not handle any ivory import requests for the next year and further warned Chinese citizens not to bring back ivory from abroad. Before Thursday’s ban, Chinese travelers returning from Africa with ivory trinkets or carvings could apply for a permit to bring the ivory into the country legally. 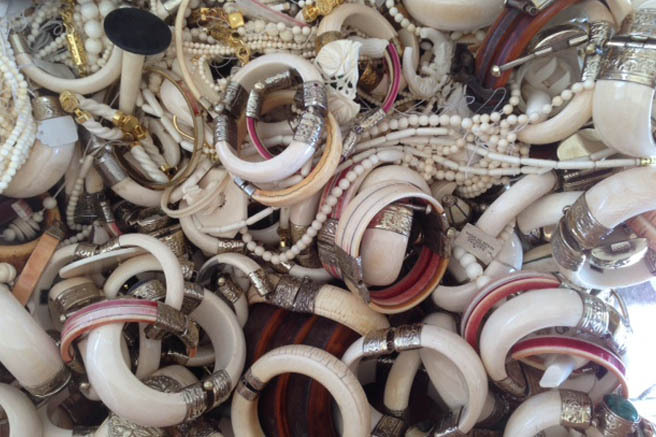 The State Forestry Administration will now no longer issue permits to import ivory products. This also includes ivory trinkets purchased in countries outside of Africa and not accompanied by the proper CITES export permits. African Wildlife Foundation (AWF) and its partners WildAid and Save The Elephants have been targeting many of the same ivory consumers through a widespread public awareness campaign and via targeted public service announcements (PSAs). The PSAs feature celebrities such as former NBA star Yao Ming and Chinese film icon Li Bingbing, who disseminate the message that when the buying stops, the killing can too.